Founded as High Court of Madhya Pradesh in 1956 in the city of Jabalpur, Madhya Pradesh. Its jurisdiction corresponds only to the state of Madhya Pradesh and has a judge strength of 42. Before being known as High Court of Madhya Pradesh, it was the Nagpur High Court, from 1936 to 1956, year in which the States Reorganization Act came into force, forming the current state of Madhya Pradesh. The charge of Chief Justice is currently occupied by the Hon’ble the Chief Justice Shri Hemant Gupta. The building in which the MP High Court is located was designed in 1886 by Henry Irwin, and its construction process lasted for 3 years. It has a mixed architecture of oriental and baroque styles, with arches, bastions and ornamental towers. It is located in Jabalpur. It is a large site that contains 14 cutting chambers, and before being known as the High Court of Madhya Pradesh, it was called High Court of Nagpur. The current Chief Justice of the High Court of Madhya Pradesh is the Hon’ble Chief Justice Shri Hemant Gupta, who has served since March 18, 2017. 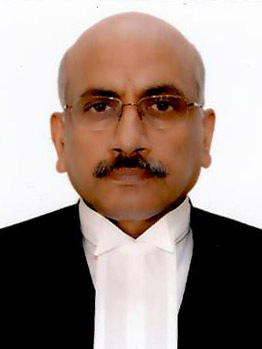 Before becoming Chief Justice of Madhya Pradesh, Shri Hemant Gupta served as Additional Advocate General in Punjab, Judge of the High Court of Punjab and Haryana, Judge and later Acting Chief Justice in the Court and Patna High Court. All the information regarding the Judgements, orders, causelist, Madhya Pradesh High Court Case status, among others, can be consulted on the website of the High Court of Madhya Pradesh. Each of the tabs on the web site offers a search engine, with which you can search all the required information, as long as you know what you are looking for. In addition to this, you can read a little about the history of the High Court of Madhya Pradesh, its foundation and the years of activity, as well as you can consult the full list of active judges and a large amount of information regarding the court, as well as news and daily listings that are published.